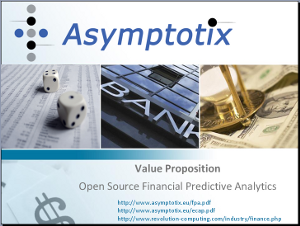 Asymptotix has created a Value Proposition and published it on the website. It contains 10 slides, making the case why an open source solution in R in a high performace computing environment is the answer to financial predictive analytics necessary after the Credit Crunch. Access the Value Proposition here!